Alapuzha: In an unfortunate incident, a young MBBS doctor passed away in a car accident on the highway after its collision with a bus on the Alappuzha-Ehanganassery Road, while another got seriously injured. The two MBBS doctors, Dr Parvathy and Dr Nithin Babu were travelling from Kochi to Thiruvananthapuram to attend a friend’s wedding. Dr Babu was driving a car when the accident occurred broke out in the impact of the collision, a rescue bid was made by the crew and passengers of the tourist bus. Highway Police took both to them to Alappuzha Government Medical College Hospital. Dr Babu is seriously injured while Dr Parvathy died on the spot. According to Manorma report, Dr Parvathy completed her MBBS from Amritha Institute of Medical Sciences in Kochi and was preparing for the post-graduate entrance exam. She was the daughter of residents Dr S Prasannakumar and Dr Shobha P Kumar at of Kozhikode. 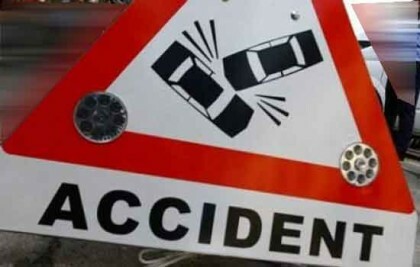 According to the police the accident occurred at 12.45 a.m. near the Pallathuruthy Bridge. “The duo were headed towards Thiruvananthapuram to attend a wedding. The bus carrying a marriage party was on its way to Guruvayur from Punalur. The injured were taken to a hospital. However, the life of Dr. Parvathy could not be saved.,” an official informed The Hindu.